Kfirim Making New Friends Already! Wow, what a great first day of second session we have had! We started by playing numerous games to aid in remembering names and make our aydah (unit) more cohesive. 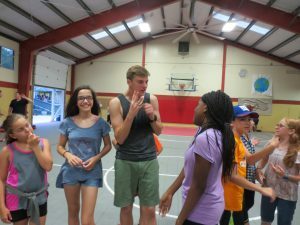 It was great to see many familiar faces back at camp, and we are all so excited to get to know the fun, new chanichim (campers)! Once everyone was here and we played some games, we split into groups based on our tzrif (bunk) to go over the rules for the kayitz (summer). We talked about topics such as inclusion and boundaries of the machaneh. We all signed the rules, showing that we agreed to them, and then we hung them up in the bunk. After that, we had some time to shower and then went down to a delicious dinner of pizza, roasted carrots, broccoli, and pudding for dessert! Salad and pasta were available, as well (as they always are!). Following aruchat erev (dinner), we had a goofy and active peulat erev (evening activity). 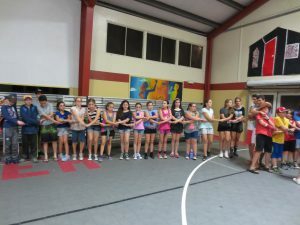 We split up the chanichim into groups based on the time of the year that they were born, and then had six stations that the groups rotated through. 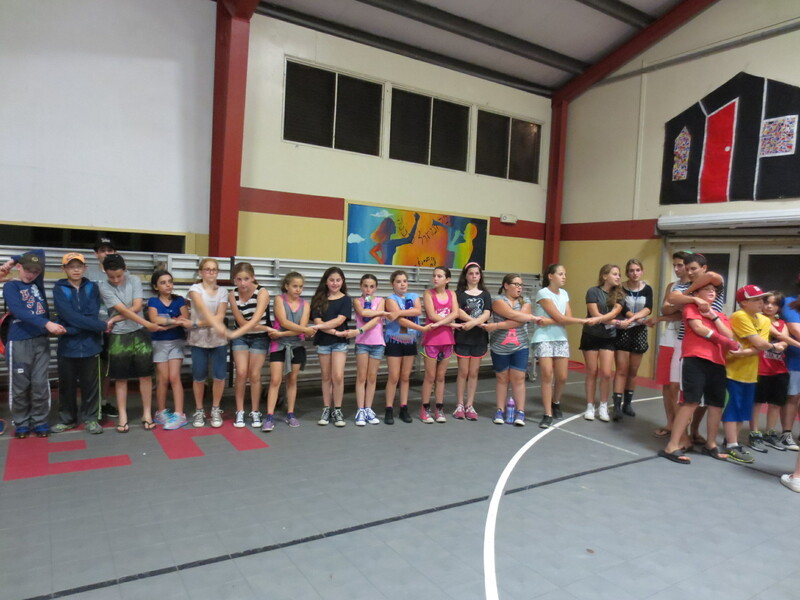 In each station, the group played a fun game which helped the aydah (age group) get to know each other better. Today, the chanichim are going to be choosing their chugim (electives), having swim tests, and starting their kitot (classes). We are all so excited for an awesome chodesh (month) all together!